Our mobile devices and wearables shape how we communicate and find information. Luckily, Visual Studio – including the latest version, Visual Studio 2017, launching on March 7 – gives you all the tools you need to start building apps for the ever-growing connected device ecosystem. Whether you’re building for enterprise users or everyday consumers, Visual Studio’s built-in Xamarin mobile support allows you to bring your .NET skills and knowledge from the desktop, web, and Windows world to new platforms, including popular mobile devices and wearables. Jumpstart your mobile development skills with Xamarin University’s free five-part webinar series, airing every Thursday in March. Xamarin University’s industry-leading mobile development curriculum includes 80+ courses from beginner to advanced, developed and delivered by industry experts for developers just like you. With this popular webinar series, you’ll get the step-by-step training you need to start building amazing mobile apps. Beginning on March 2nd, join us for one or all sessions and bring your questions. 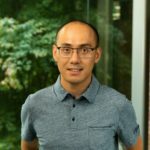 Xamarin University instructors and experts will be on hand for live Q & A.
Thursday, March 2nd, 9am PT: Intro to Xamarin for Visual Studio: Native iOS, Android, and Windows apps in C# – Xamarin University Guest Lecturer James Montemagno will show you how to create, debug, test and deploy apps for iOS, Android and Windows while maximizing the shared code between all platforms. Thursday, March 9th, 9 am PT: Building your First Xamarin.Forms App – Adrian Stevens, Xamarin University curriculum manager, will walk you through building your first Xamarin.Forms application, including using a common set of controls to define a fully native UI for Android, iOS, and Windows. Thursday, March 16th, 9am PT: Building Your First Android App – Xamarin University professor Judy McNeil will show you how to design native Android UIs with the Android Designer, add behavior, and deploy apps to Android emulators and devices – straight from Visual Studio. Thursday, March 23rd, 9 am PT: Building Your First iOS App – Chris van Wyk, another expert Xamarin University professor, will dive into a typical Xamarin.iOS project, explore the MVC architecture, create screens with the Visual Studio iOS Designer, and test Xamarin.iOS apps on a simulator and real devices. James Montemagno will teach you how to integrate various Azure App services into your Xamarin apps, including: cloud data storage, offline sync, push notifications, user authentication, and data and intelligence. We’re looking forward to seeing you soon and helping you build apps users love – now and in the future. For even more hands-on guidance, don’t miss the Visual Studio 2017 launch event March 7-8 for keynotes, demos, and a full day of virtual training from Xamarin University!